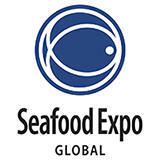 "The International Largest Seafood Trade Exposition"
Seafood Expo Global is the world’s largest seafood trade event. The event includes the highest quality of seafood from different parts of the country provided by the best professionals in the seafood market. The event is a place to be for all food industries to acknowledge potential seafood industries and initiate contacts. The event also includes all the related equipment, gadgets, and products related to the seafood business. The event is a must attend for all food industries and restaurants. The event provides an astounding opportunity for all restaurants and businesses to display their products and cuisines worldwide and also establish network contacts among crowd full of potential buyers and businesses. 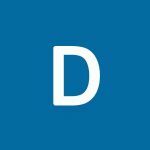 5 27 Apr 2018 Kaichun Jiang Deputy Director at Dalian Ruize Food Co.,ltd. The Global Seafood Expo. is very good for dealer. The buyer and the seller can discuss the business face to fact which make the deal very easy and very quick. Very informative event. Would have welcomed a quieter area available to attendees for respite: was there for all three days doing research and there were few places to sit in peace for a break. it was better organized than in 2016. The mobile phone connection in the halls should be better. there should also be shuttle to the gare du midi . More than 1600 exhibitors will be participating in European Seafood Exposition. The participants will bring together a huge collection of seafood processing machineries and equipments which are designed by implementing advance technologies. The exhibited range includes seafood products like fresh, canned, frozen and value added seafood. Transportation Services, Processing Equipments, Food service Equipment, Retail Equipment, Packaging Services, Cold Storage and Refrigeration equipments are also exhibited in this show.